Projects on Time? Over Budget? 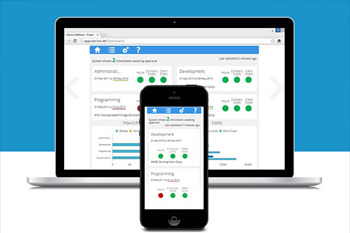 Monitor your projects in real time using this handy Dashboard on your PC, Tablet or Smartphone web browsers. 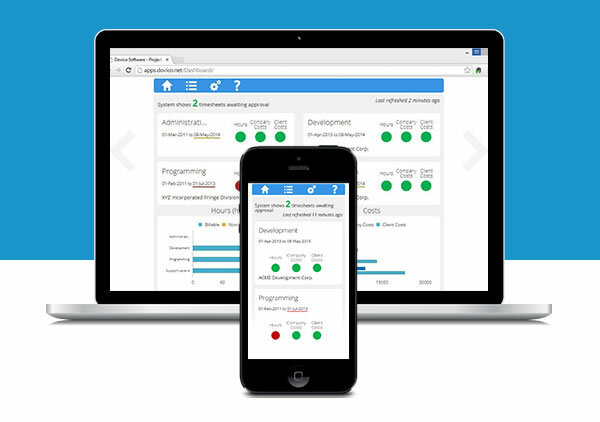 The Dashboard monitors up to 4 projects that you can change at any time. When your projects hours, company costs, or client costs are approaching your budgets or worse - Over Budget! All time/costs figures represented are based upon Approved items. No unsubmitted or Under Review items are included in the calculations. To view the Dashboard in its entirety you must be an Administrator. 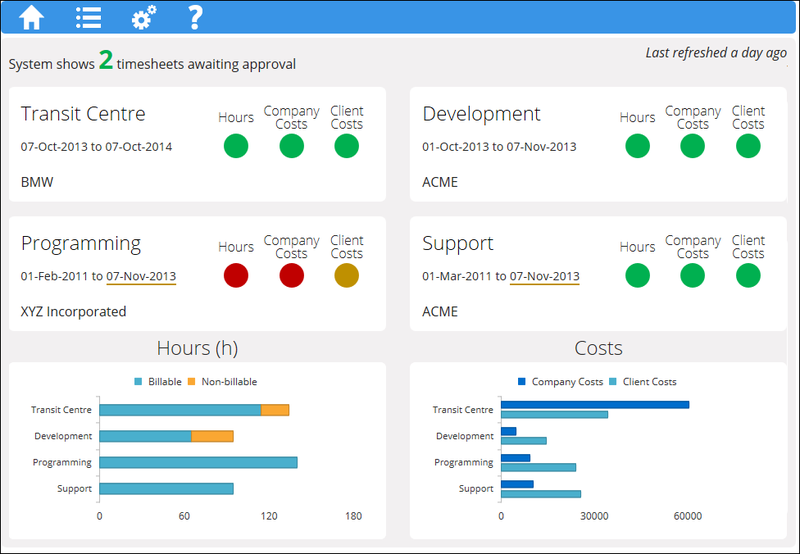 An employee may use the dashboard but must have read access to the Projects view, Assignments view, and Time & Expense view within Dovico Timesheet. This same employee must also have ‘Show client cost information’ and ‘Show company cost information’ turned on. Data will also be restricted based on limited access settings. This service does not modify any of your Dovico Timesheet data or store any additional data on your device or on our servers. You must have Internet Access to your company's Hosted Dovico service. This service is hosted on Dovico Servers and will be updated by Dovico as new versions are released. No user intervention is required for updates. Developed by Cognitive X Solutions Inc.
We want to help our customers grow their business by solving problems with an Innovative application of Information Technology. We are a team of passionate software craftsmen that believe the true power of technology is the people that enables it. Take Your Time Back with Dovico! 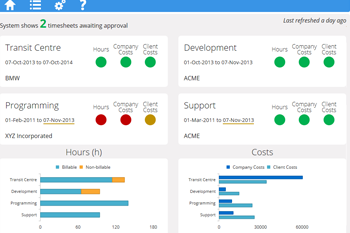 Dovico Timesheet makes for simple and effective project time tracking.